Mamoudou Nagnalen Barry was born in Kankan, Guinea in September of 1985. Barry, as his friends and family call him, was a middle child in a family of 20. With such a large family and very low incomes, it was a daily struggle for Barry’s parents to make ends meet. In spite of these challenges however, he truly admired both of his parents for their humility – he was especially inspired by his mother for raising that many children with minimal resources, and he has grown up wanting nothing but to care for her as well as she cared of him and his siblings. Barry and his siblings had to work from primary school all the way up to college in order to alleviate some of the financial strains. This included selling things like plastic bags, soap, candies, eggs, petroleum, shoes, watches, etc. Fortunately, those circumstances did not stop Barry or any of his siblings from doing exceptionally well in school. Barry understood very early that school was one of the few places where it did not matter whether one was rich or poor; he was always among the top students. From this, he realized that he could change his life and provide for his mother by doing well in school. He graduated from high school as the top student in his city and moved, for the first time in his life, from Kankan to Conakry, the capital city of Guinea. In Conakry, Barry obtained his first Bachelor’s Degree in Economics, from Sonfonia University, where he graduated at top of the class. After his graduation, Mamoudou decided to continue his studies and earned a second Bachelors Degree in International Law followed by a Master’s in Strategic Finance. In 2013, the World Bank awarded him as a leader capable of impacting growth in his country by giving him a scholarship to obtain a second Master’s in Policy Economics at the Center of Development Economics of Williams College in Massachusetts, which was ranked as the best college in the USA in 2014 by Forbes Magazine. Throughout these post-secondary ventures Mr. Barry remained very active both in his community and in the academic/professional realm. He attended numerous professional training sessions and workshops for institutions like the IMF, the US Federal Reserve System, the UNDP, and many more. In the community, he became involved by speaking in several high schools and even colleges while he was obtaining his first undergraduate degree. Today Barry is still teaching as an economics professor at many local universities. This is something he believes he will always do not only because he enjoys it, but also because he feels it is a duty he owes to the upcoming generation; education was his way out of unfortunate circumstances, and he hopes to make it just that for as many students as he can. Barry’s hard work in his studies has consistently paid off. From becoming a financial auditor in Guinea at KPMG, one of the largest professional services companies in the world, right upon completion of his first undergraduate degree, to later getting a good paying job at one of the leading petroleum companies in the world (Total), and more recently assuming the position of Bank Supervisor at the Central Bank of Guinea. Barry’s childhood goal of using school as the means to better his life appears to be well under way. 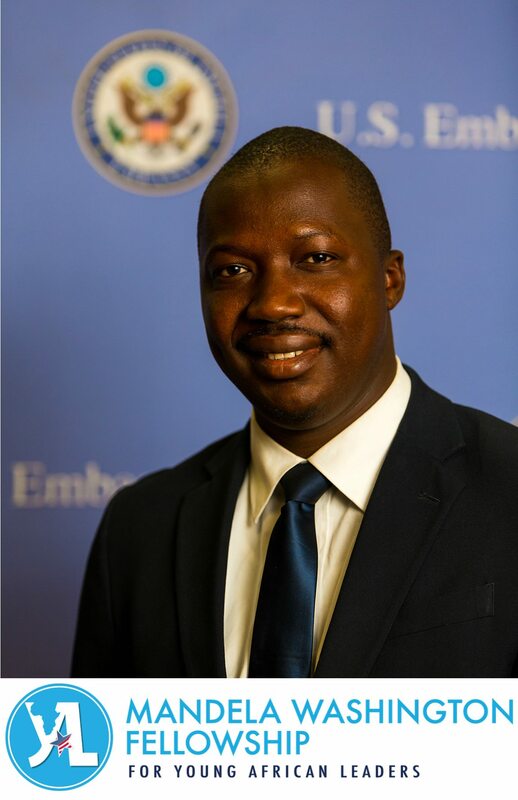 In 2015, Barry was among the 500 Young African Leaders selected by the US Department of State to participate in intensive training in their respective fields; which for him was public management at Georgia State University in Atlanta, Georgia. This was a phenomenal experience for Barry because it was thrilling to meet so many people who had similar visions of bringing positive change to their countries. Most recently, Barry worked for the United Nations Development Program (UNDP) as a National Expert in Investments. This position was yet another step in the right direction towards his aspirations as he worked to improve the business environment in Guinea in order to facilitate private investments and create jobs for all, but especially for the youth and women. Barry plans to leave this position at UNDP, in order to build an American School in the capital city of Guinea, an agricultural and mechanics school in the countryside and a business promotion agency. Mamoudou Barry dreams of using his educational background to bring peace and stability to Guinea, by educating people, empowering the youth and women and building strong institutions.